The only national initiative specifically designed to recognize excellence in undergraduate teaching and mentoring, the Professor of the Year program is administered by the Carnegie Foundation for the Advancement of Teaching and the Council for the Advancement and Support of Education. Seven Puget Sound faculty members have been named Washington State Professors of the Year, more than at any other college. 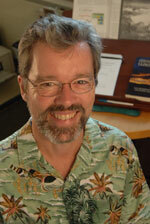 A member of the Puget Sound faculty since 1990, Karl Fields is a Distinguished Professor of Politics and Government. Fluent in Chinese and conversant in Japanese, his teaching focuses on comparative politics, comparative political economy, and the politics and societies of Asia. He chaired the Politics and Government department from 2000 to 2004 and has served as director of the Asian Studies Program from 1997 to 2000, and 2005 to the present. His scholarship is informed by regular teaching, lecturing and research in China, Hong Kong, Korea, Japan, and Taiwan, and travels in the Russian Far East, Thailand, and Vietnam. 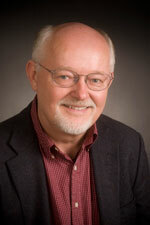 Michael Veseth is the Robert G. Albertson Professor of International Political Economy, and has taught at Puget Sound since 1975. A teacher, thesis adviser, mentor, author, scholar, lecturer, news commentator, and 1972 Puget Sound alumnus, Professor Veseth is a co-founder of the first undergraduate program in international political economy and co-author of the textbook An Introduction to International Political Economy, in use by more than 100 colleges worldwide and now in its fourth edition (with David Balaam; Prentice-Hall,1996, 2001, 2005, and 2008). Proceeds from textbook sales are used to support an IPE Summer Research Fellowship for undergraduate students at Puget Sound. 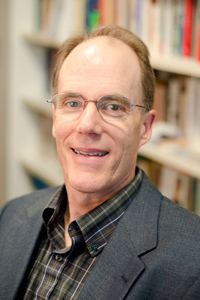 A member of Puget Sound’s faculty since 1984, Professor Evans conducts research in the history of science, as well as in physics, and teaches courses in topics such as the history and practice of ancient astronomy, special topics in theoretical physics, and cosmological thought. Associate editor of the Journal for the History of Astronomy, he completed a B.S. in electrical engineering from Purdue University in 1970, a Ph.D. in physics from the University of Washington in 1983, and postdoctoral studies at the Centre Koyre in Paris, where he conducted research in the history of science. Professor Bristow teaches 20th-century American history, with an emphasis on race, gender, and social change, and has been part of Puget Sound’s faculty since 1990. Initially a student of progressivism and World War I, she continues to pursue her interest in social upheaval and cataclysms in her research on the social and cultural history of the influenza pandemic of 1918–19. 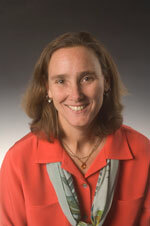 She is also a previous recipient (1999) of the President’s Excellence in Teaching Award. Professor Bristow earned a B.A. from Colorado College in 1980, and an M.A. 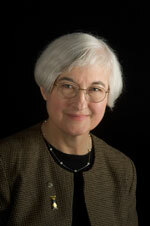 and Ph.D. from University of California-Berkeley in 1983 and 1989, respectively. While students will primarily remember Suzanne as an exceptional teacher, she also has carved out a respected position as a scholar—by her journal articles, by skillful manuscript and book reviews, and by her edited volumes, Asia in the Undergraduate Curriculum and Christianity in China. She’s currently completing her book manuscript, China’s New Geographies in the Nineteenth Century. And not surprisingly, with her organized energy, she has shouldered leadership positions in several national historical organizations. Natural Knowledge in Preclassical Antiquity and Geology in the Nineteenth Century: Changing View of a Changing World (Cornell History of Science Series). Bob Albertson was a pioneering liberal arts educator who left his mark on Puget Sound and its students in innumerable ways. A professor of religion from 1956 to 1987, he helped found and direct the Honors Program and served as director of the humanities division. True to his passion for the mystique of Asian culture, he initiated the Pacific Rim/Asia Study-Travel Program, which allows students to combine academics with real-world experience. He was an admired scholar and a gifted teacher who inspired students to excel and to appreciate all faiths and cultures. 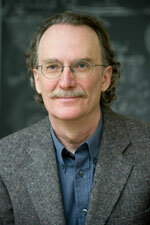 Professor Albertson passed away on Feb. 6, 2007.